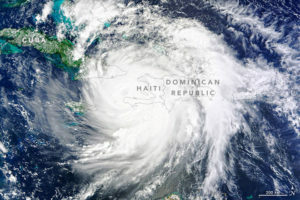 The recent barrage of hurricanes in the southern United States is a reminder of the need for all companies that operate critical services to have a solid disaster recovery (DR) plan. At Intelsat General Corporation (IGC), the unpredictability of hurricane Irma gave us an opportunity to execute our own DR plan and to provide uninterrupted service for our customers. As a satellite communications provider, Intelsat’s ability to quickly recover from a disaster is crucial for maintaining both our own business continuity as well as our clients’. We have a comprehensive disaster recovery plan that specifies clear and concise directions for recovering from disasters to the point that full operations are quickly restored—with little or no impact to our customers. With over 50 satellites and triple fiber redundancy, traffic can easily be redirected across the network to avoid single points of failure and/or disaster areas. 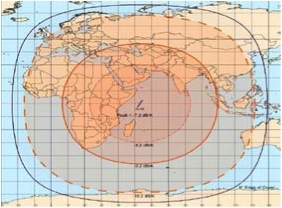 In addition, eight strategically located teleports offer diversity for uplinks/downlinks and minimize down time. We monitor our satellites around the clock, every minute of every day. We operate two fully redundant flight operations centers in McLean, Virginia and Long Beach, California. In the case of a natural or man-made disaster at either location, control of our spacecraft will continue without interruption. Our network operations center in Atlanta, the ISOC is manned 24/7 and has a fully-redundant back-up facility in McLean, VA to ensure continuity of service. This means recovering technology and business operations, and providing a safe and operable environment for our people as well. To that end, we maintain adequate supplies, such as air mattresses, food, and water, to support our people if they become stuck onsite. Certain members of our staff carry secure laptops with them at all times, to ensure operations even if for some reason offices can’t be physically accessed. Every incident provides lessons that we use to continually strengthen our DR policies. For example, in January of 2014 a sudden ice storm paralyzed the entire metropolitan Atlanta area for almost three days. This was the catalyst for our ensuring that some staff always had secure laptops, to guarantee operations even if travel to a company location was impossible. We test our DR plan at least once a quarter, so putting it into action in the wake of Irma was nothing out of the ordinary. We sent staff to our DR facilities, a hot site with all of the necessary backup resources, including generator power, phones, and a secure network connection. The transition was seamless to our customers. They reached us by the same phone numbers and interacted with the same staff they would normally. Because SATCOM is independent of the local terrestrial communications infrastructure, it can play a valuable role in disaster preparedness and recovery efforts. Government and commercial customers rely on us for communications to support a variety of disaster recovery scenarios. For example, during emergency response scenarios first responders use SATCOM to call in immediate medical care. Satellite communications are also used during the weeks or months following a disaster to communicate in and out of an affected region. Alternatively, we help government organizations implement satellite infrastructure in anticipation of a loss of communications to ensure continuity of operations. Establishing a disaster recovery plan ahead of emergency requirements will go a long way towards addressing the needs of those affected immediately. Examples would include having SATCOM equipment prepositioned, or ready for immediate deployment to a disaster zone. Recent natural disasters have reinforced the need for reliable connectivity no matter what the conditions. 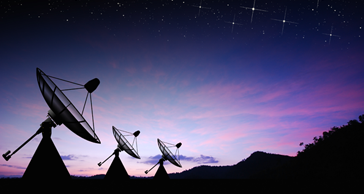 Commercial SATCOM is a reliable, necessary partner for government communications. At IGC, we have processes in place to ensure SATCOM is always available —for us and our customers—regardless of what Mother Nature throws our way.